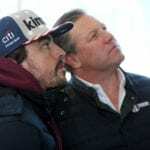 Jenson Button has spoken about Carlos Sainz’s move to McLaren, and thinks that Fernando Alonso will be a hard act for the Spaniard to follow, but that Sainz can be part of changing the teams recent fortunes. 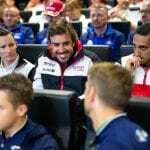 They say there is a story behind every picture, and Badger's Sarah Merritt chatted to Fernando Alonso and Jenson Button to find out what triggered that press conference smile! 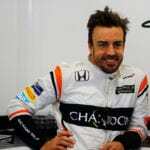 McLaren's Fernando Alonso insists that he is ready for Australia, and that everything is under control. Read his words from last night when he met with the media. Alonso's car failed him. Again. But he made the best of it. Because. 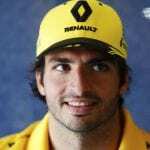 Alonso. 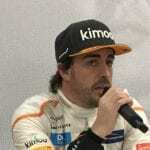 At the end of day 2 of the second test at Barcelona that saw him complete 46 laps in the McLaren MCL32, Fernando Alonso faced the media questions. Read it all in one place - not just the soundbytes! There is a case to suggest that this year’s top performer has been flying under the radar. Podium or Pits is Badger's weekly guide to what's hot and what's not in Formula One. Stay tuned for a lot of Ferrari chat (skiing, sadness and sour grapes), tiny things and possibly the best picture POP has ever published.